Constant learning and changing with today’s world of procedures and technologies is essential to providing the best that dentistry has to offer for my patients. 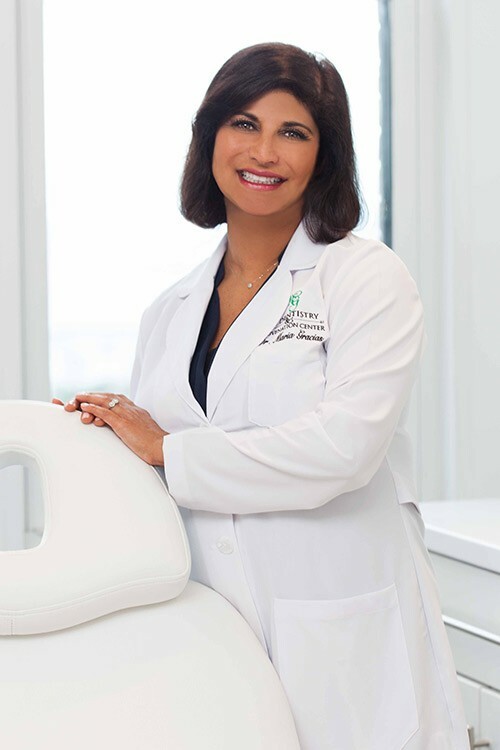 Dr. Maria Gracias graduated from the Northwestern University Dental School in 1990, where she went on to teach as a clinical instructor from 1993 – 2001. Today, after twenty years of practice, Dr. Gracias remains at the forefront of her rapidly evolving industry. Her experience and loyalty to patient care sets the standard of customer service far above the rest. Dr. Gracias began studying anti-aging rejuvenation therapy after her extensive dentistry experience revealed the need for a clinical approach to aesthetic care. Inspired by her patients’ needs, she endeavored to fuse the latest developments in dental and facial aesthetics into a comprehensive treatment solution. The result: MG Dentistry & Rejuvenation Center.